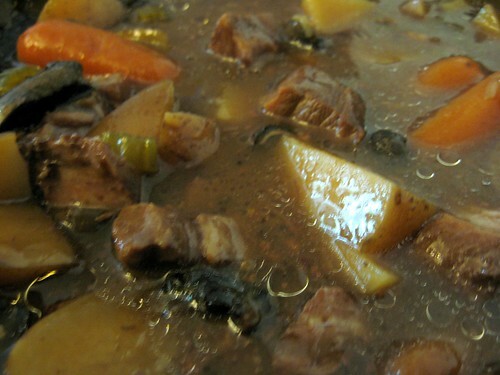 Crock-Pot Beef Stew | Hapa...Shot the Food! 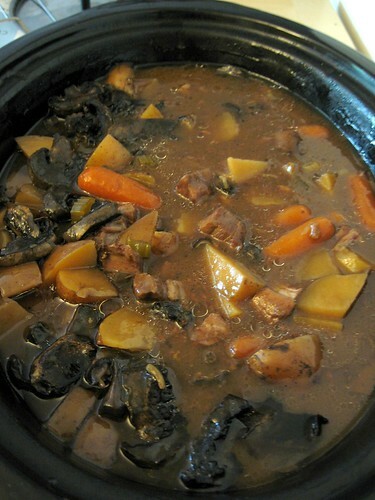 This crock-pot beef stew would probably fall under the “semi-homemade” category, as it uses bottled gravy, dry onion soup mix (as well as the juice coming from various ingredients) as the basis of its sauce. The base recipe is one published by the Texas Beef Council, often doubled since I have a large crock pot. 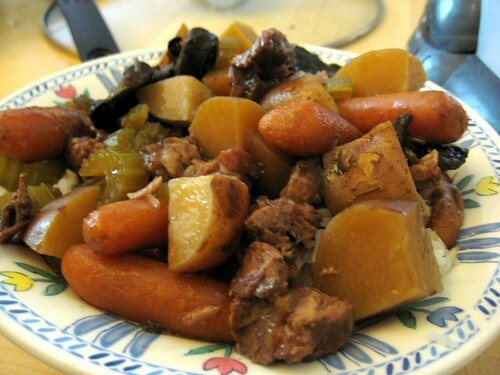 Put the beef cubes in the bottom of crockpot. Sprinkle with pepper and the onion soup mix. Add gravy. Layer the vegetables, potatoes first, then carrots, and finish with mushrooms on top. 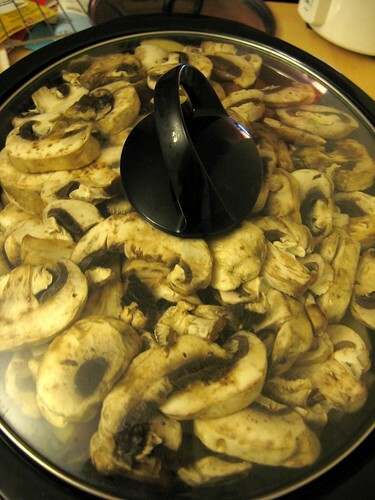 Cover with lid and cook on low for 7-9 hours. There are some modifications I employ: In every double-batch, I’ll cut about 8-9 redskin potatoes. I’ll also slice 5-6 talks of celery and place the pieces in the stew. I often omit the pepper, and use beefy onion soup mix rather than regular. Lastly, I use around 2 lbs. of baby carrots. Here’s the crock full of ingredients, ready to start the cooking process. 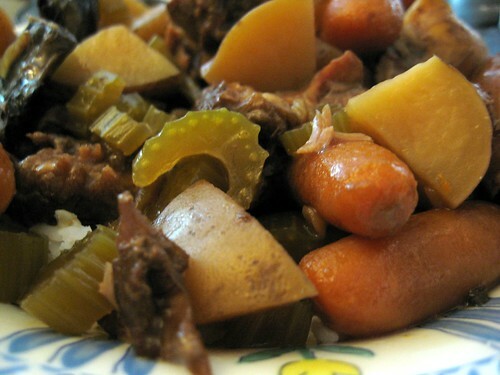 Posted on June 4, 2008, in Uncategorized and tagged beef, beef stew, crock pot. Bookmark the permalink. Leave a comment.